This NTS Insight is the second part of a series of two that engages in the debate on the South China Sea (SCS) from the perspective of marine environment. In this NTS Insight, focal areas that are important for effective marine environmental protection (MEP) are identified, which include protection and conservation, legal frameworks, enforcement, and scientific research. An assessment of the status of national and regional MEP in the SCS is provided. MEP practices in other regions are examined to generate lessons for better cooperative protection in the SCS. Possible avenues are proposed for strengthening cooperation. 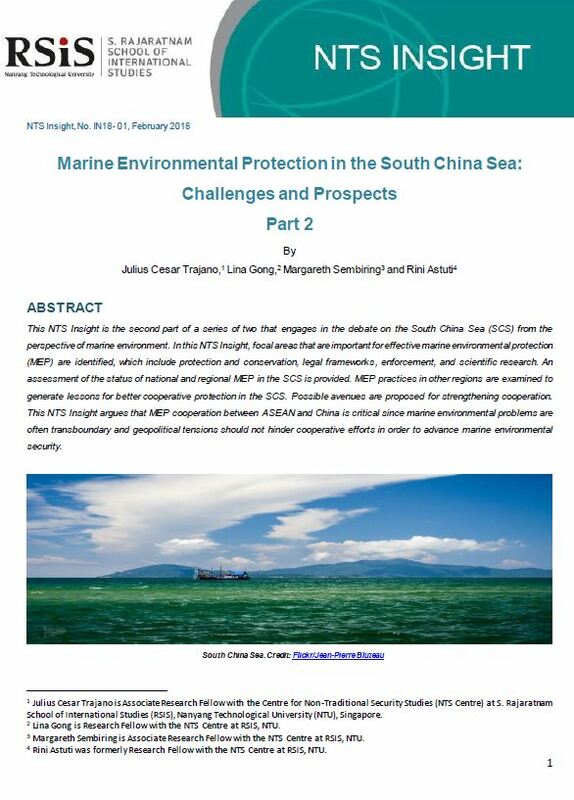 This NTS Insight argues that MEP cooperation between ASEAN and China is critical since marine environmental problems are often transboundary and geopolitical tensions should not hinder cooperative efforts in order to advance marine environmental security.